The Doogee Mix received a mixed reactions from both critics and consumer alike. It created enough buzz to garner a follow up, the Mix 2, which is now in the PH. 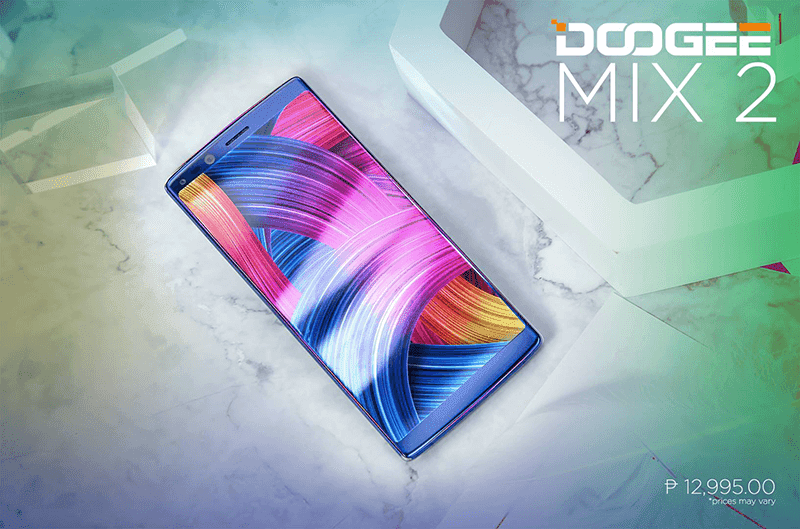 Doogee Mix 2 now available at PHP 12,995! The Doogee Mix 2 improved upon the its predecessor. It now has a taller body with a 5.5 inch 18:9 FHD+ bezel-less display. It is housing a 64-bit 2.5GHz Helio P25 octa-core processor, Mali-T880 GPU, a whopping 6GB of RAM with 64GB expandable storage. It has a big 4060mAh battery as well. It also has a quad camera setup; 2 at the front and 2 at the back. The rear camera has a combination of 16MP + 13MP sensors with PDAF and dual tone LED flash. It is also capable of 4K video recording. The selfie camera, on the other hand, has a duo of 8MP + 8MP sensors with 130 degree wide angle lens. It is going to run Android 7.1 Nougat. It has a fingerprint sensor and 3D facial recognition. It will have a USB Type-C port, WiFi, LTE-A. Bluetooth, GPS, A-GPS, GLONASS and dual SIM card slots. The surprising thing about the Doogee Mix 2 is that with all these features it is only priced at PHP 12,995. That is ridiculously affordable for the specs the Mix 2 is packing.